Dr. Stover has used Lasers in his practice for over the past 6 years with great success. We invite you in to see our office and have a consultation with Doc and see if your a candidate for this protocol. Call today 678-513-1450. *Erchonia Medical study submitted to the FDA and given market clearance January 2002. 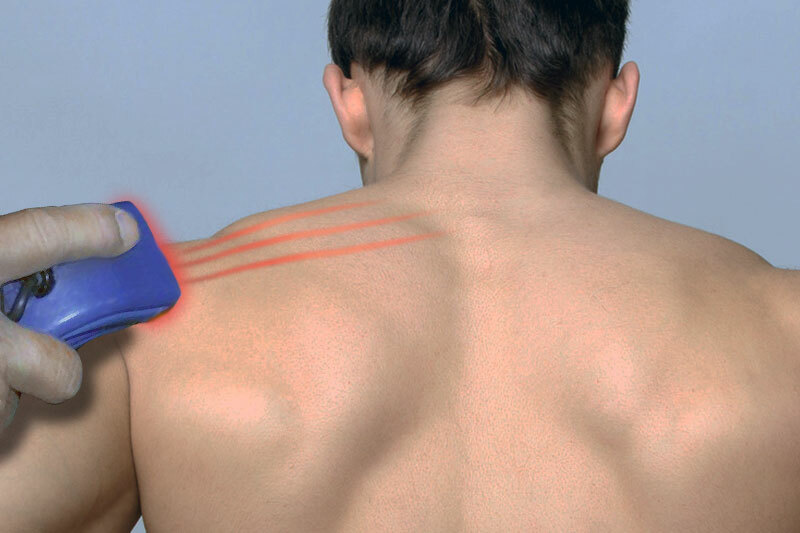 The Erchonia low-level laser is a safe and effective device for single-use temporary pain relief and improvement in range of motion for patients with chronic pain in the neck and shoulder areas originating from the conditions of osteoarthritis, muscle spasms and cervical and thoracic spine strain. This landmark study helped the Erchonia Medical low level laser to become the first low level laser of any kind to be approved by the FDA. Coherent Laser Light or light energy with the unique property to penetrate the skin inches deep. This causes an increase in cellular metabolism with no damage to the tissue what so ever. What is Cold Laser Therapy being used to treat? Cold Laser is being used to treat a variety of painful and inflamed conditions of the soft tissues and joints such as carpal tunnel syndrome, arthritis, back pain, sports injury. Why would my Doctor recommend Cold Laser? Dr. Stover is one of a limited Doctors in the country using the Erchonia lasers under an approved protocol. You may have a condition that he feels falls within the criteria of being an acceptable candidate for this therapy. Yes, the FDA has ruled that the therapy is safe for pain reduction, increasing range of motion, carpal tunnel and acne. The only contraindication is treatment to the eyes. Yes, the laser was approved on 2/11/2002.